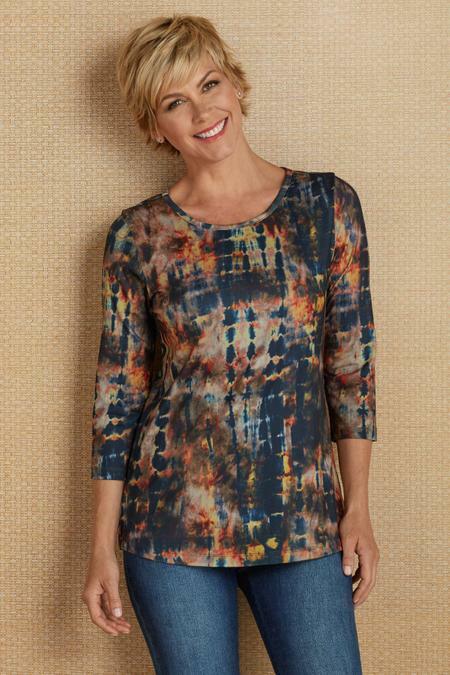 Stylish as ever, tie dye turns this soft jersey knit top into a work of art in deeply layered earthy tones and peeks of brights. Scoop neckline, three-quarter sleeves and waist shaping, make this an easy addition to your wardrobe. Wear this versatile top on its own or layered with cardis or jackets. Poly/spandex. Misses 27" long.